The investigations were fixed. How else to explain this week’s news that the demonic Roger Clemens was acquitted of lying to Congress about taking steroids, while cancer survivor and national hero Lance Armstrong is now being investigated by the U.S. Anti-Doping Agency? 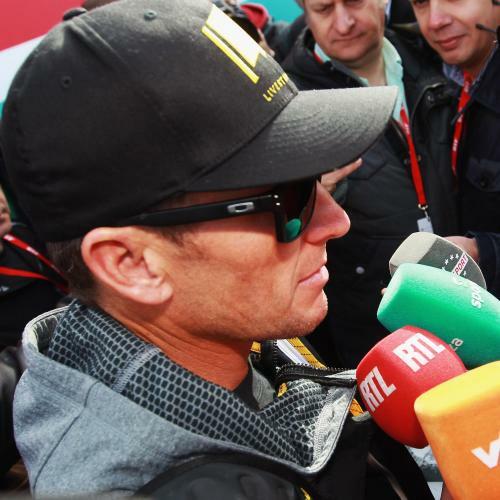 Depending on what USADA finds, Armstrong could be stripped of his record seven Tour de France titles. In fact, neither of these outcomes is altogether surprising. Clemens, whose increasingly bulbous physique and supernatural late-career statistics strongly suggest dopage, was prosecuted by an incompetent squad, in front of a jury that openly scorned the government’s case. Armstrong, who’s faced a litany of accusations from former teammates and friends, was for seven years the most dominant athlete in the most drug-addicted sport on the planet. Let’s be realistic. Whatever their legal standing, in other words, both Clemens and Armstrong were probably juicing. But that doesn’t mean fans should judge the two equally. Fear not, patriots: Clemens is still a demon, Armstrong still a saint. Because of the competitive advantage he had over his peers—and baseball’s all-important record books—Clemens tarnished his sport more than Armstrong ever could. In pro baseball’s 150-year history, the steroids era was only a minor blip. Despite periods of loose experimentation with amphetamines, cocaine, and some seriously potent LSD, the sport was mostly clean until the 1990s. And since 2007, when former Senator George Mitchell released the report that implicated Clemens, Major League Baseball has ramped up its testing program and mostly weeded out the steroids. (5,458 home runs were hit in 2001. In 2011: 4,452.) Clemens’s use—if he used, of course—hurt the game because in baseball, steroids have been the exception rather than the rule. Armstrong’s drug use—again, if he used—did almost nothing to blemish his sport. Before, during, and after his reign, everybody was doing it. He was simply the best of the cheaters. The injustice of the Armstrong investigation is that if he is stripped of his seven titles, Indurain and Pantani and Merckx’s tainted victories will remain on the books. Clemens’s predecessors, by contrast, were clean.